Welcome Home! This home has so much to offer. 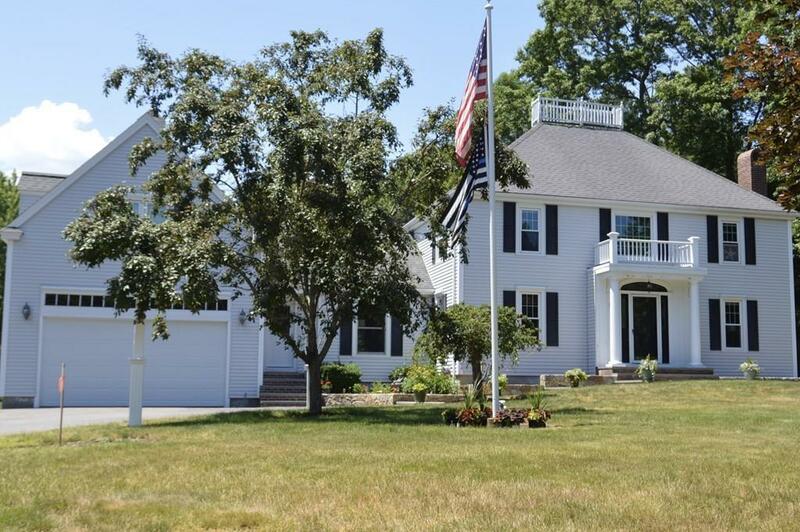 Beautiful and spacious Colonial with a two car garage set on over an acre of land and situated in one of Hanson's most desirable neighborhoods. A great family home that has been lovingly cared for. The kitchen includes granite counters and stainless steel appliances. The house has a great room over the garage that is an impressive space. There are two fireplaces - one is located in the living room and the other in the family room that also boasts a skylight, ceiling fan, cathedral ceiling and French doors that lead to a beautiful three season sunroom and deck that overlook the outdoor living space complete with an expansive back yard, inground pool, patio and two horseshoe pits. There is also a well for your outdoor watering. This is a great home in a great location for a new family to enjoy for years to come. No showings until the Open House on Sunday 9/2/18 1-4pm.